All Female sharehouse. Rent includes water, electricity and internet bills. 5 min walk to the bus stop (BUS 738). There's IGA, medical centre, restaurants next to the bus stop. Bus 738 will take you to Griffiths University tram station (only 1 stop). You can also walk to the university as well. All female sharehouse. All utilities included in the rent. Very spacious common living area. You can cook in our house as well. Very quiet living environment as our toddler is very obedient and is in day care most days. We have just purchased a brand new bed frame, mattress, mattress protector and new pillows for you *Very hygiene environment* You will be sharing the common area with another lady tenant. Our house is close to Gold Coast university Hospital, Griffiths University. 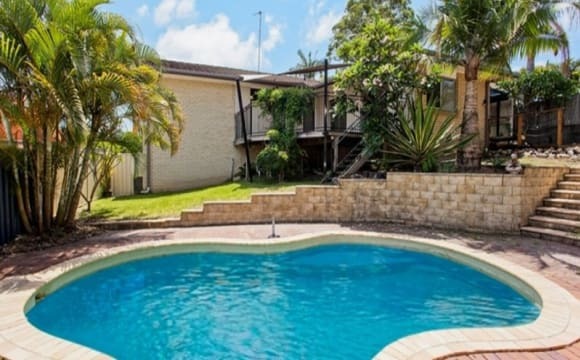 You can catch the bus (5min walk from our house) and take the tram to the university, surfer paradise, australia fair or to the nearest train station (helensvale) if you are heading to Brisbane. If you have a car, you can park your car on the street (visitor parking space) and is close to motorway. There are lots of restaurants and a IGA supermarket just outside our area where the bus stop is, you can grab your takeaway or grocery and walk back home. 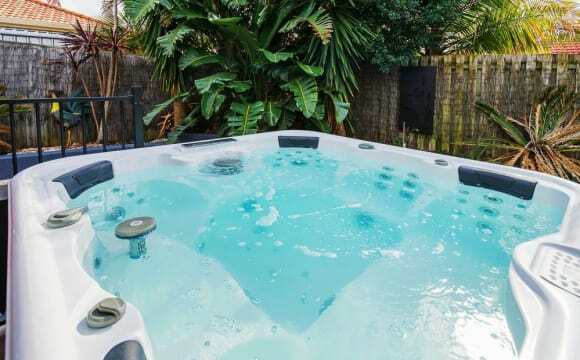 Enjoy Jacuzzi and In-House Cinema and more !!! 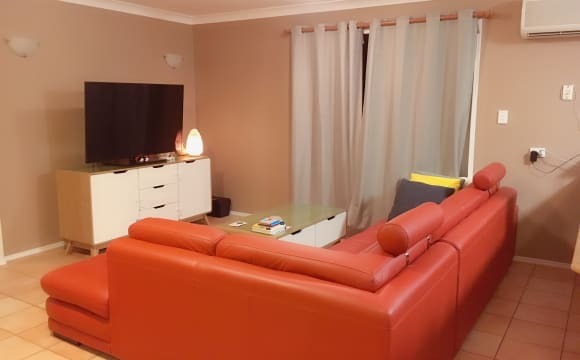 + Walking distance to Griffith Uni/hospital and Crestwood Plaza :) I have currently 2 spacious bedrooms left in this beautiful house. I've been living here for the last 3.5 years and I absolutely love this place! I'm now looking for two more friendly and positive individual who are respectful of space and clean to share this beautiful home with me and my good friend. This is not a party house but we're quiet sociable and don't mind occasional drinks but still like to respect each others privacy. Open communication and mutual respect is crucial - I believe that everyone has to be happy (your home is your sanctuary). About the house: * Media room (in house cinema which we just use for gaming atm) which we can also use as a 2nd living room or use it for guests * 6 seat jacuzzi in the backyard * Study with plenty of space * Large kitchen with stone benches, heaps of storage, including all kitchen goods * two fridges in the kitchen, so there is heaps of space for everyone:) * Unlimited NBN * Netflix and Stan * Air Conditioning * Double garage – plenty of space for storage * Extra shed for storage * Large covered and uncovered outdoor entertaining area at the rear with Jacuzzi * Barbecue and big outdoor seating for 8 people * Lawn, garden and spa maintenance included in rent * 2 parking space available on property * additional car port on property available or on-street parking About the room: * Built-in wardrobe * Ceiling fan * Carpet * Sliding window with fly screen Also, less than 5 minutes walk to Crestwood Heights Shopping Village (including IGA, several take away shops and medical centre), transport, Bunnings warehouse, World Gym and so much more.. If you choosing to drive then in less than 10 minutes you're in Southport CBD, Ashmore City Shopping Centre, Harbour Town Shopping Centre, Griffith University, Gold Coast University Hospital, Westfield/Nightquarter Helensvale and loads more. The cost for the room is $195 per week + bills Bills are the following and are divided evenly amongst us: Electricity and Water are billed every 3 months and roughly $15-$25 per week depending on season and how good we are with lights etc. The house itself is set in a very quiet neighbourhood and with 192 m² building area quite large. The rooms can come furnished or unfurnished. Although the rooms easily fit a desk in it, you don't need one in your room - big study available which you're more than welcome to use as well. The bathroom would be shared between you, Nikou and our other new housemate who's moving into the third bed room. About the photos: The bathroom photo isn't up-to-date we got a brand new bathroom last July just haven't had the time to take a nice photo yet. The study picture still shows my old corner where I used to have my computer set up. I moved it into my bedroom so the space can be all yours :) Ideally, you're between 25-35ish, and fun and easy to live with. Student, Backpacker or employed, doesn't matter, as long as you can pay the rent and your share of bills. If you want to smoke, you can outside. 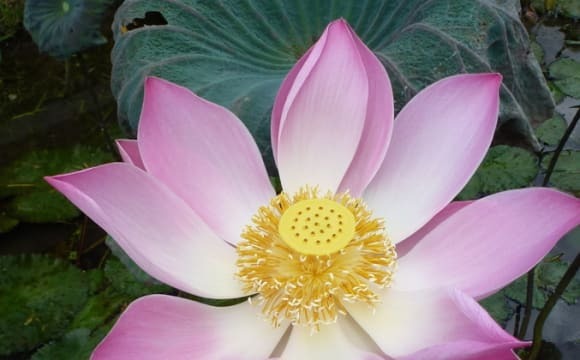 **If you are interested, please send me a message and tell me about yourself like age, what you do for a living etc** You are more than welcome to come and meet us and to have a look at the house. 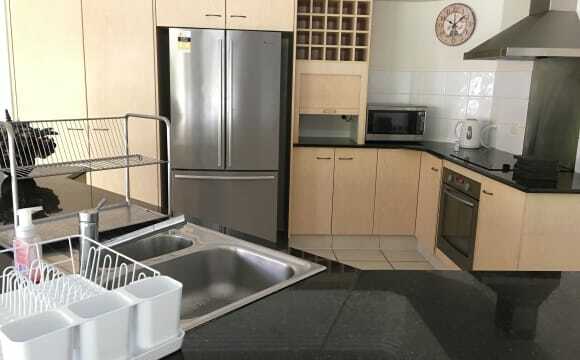 I have a house at Molendinar and have 2 bedrooms available. 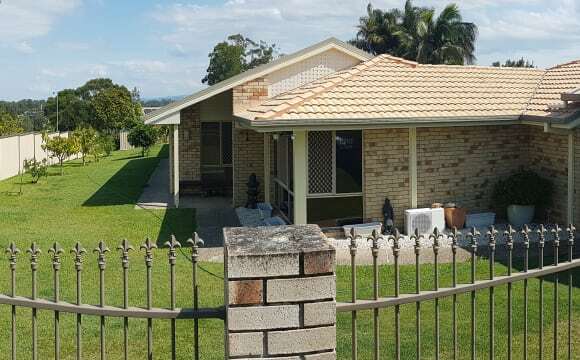 The house has a pool, off street parking, 2 living areas, 2 bathrooms, clean, tidy, quiet and peaceful area and only 5.5kms to Griffith Uni and the University Hospital. Two furnished bedrooms available with single bed. Smaller bedroom $165 a week, larger bedroom $175 a week. Bond $300 for both rooms. Utilities and internet included in rent. Also there will only be 3 guys in the house, myself and 2 housemates. Either short term or long term housemates are fine. Looking for housemates between the ages of 24 to 50’s that are non-smokers, no drug’s, tidy, clean, responsible, easy going type of guy, no hang ups. You must be working full time or a student able to support yourself. As I live a healthy lifestyle I would find it difficult to live with someone who is a couch potato and eats McDonalds or KFC all week. I am a light sleeper and tend to go to bed early so looking for someone who will keep any noise down to a minimum after I have gone to bed. ONLY 3min drive from GRIFFITH UNIVERSITY. and only 20min walk. 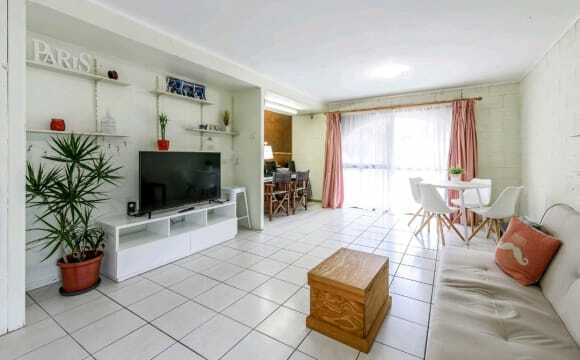 Air-conditioning, quiet neighbourhood, close to griffith and M1. House is always very tidy. We have a large home with 2 lounges. It is close to bus, light rail, and M1. We are near Gold Coast University Hospital and shopping centres. Looking for a mature working person to join our easy-going home. 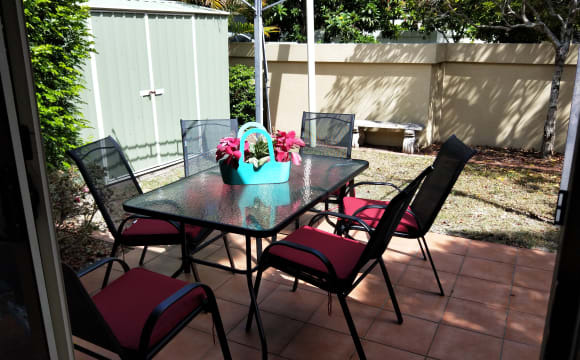 Our home is in an optimal location for students as the 2 rooms I have available are fully furnished, and only a few minutes from Griffith Uni, Gold Coast University Hospital and the local shops. 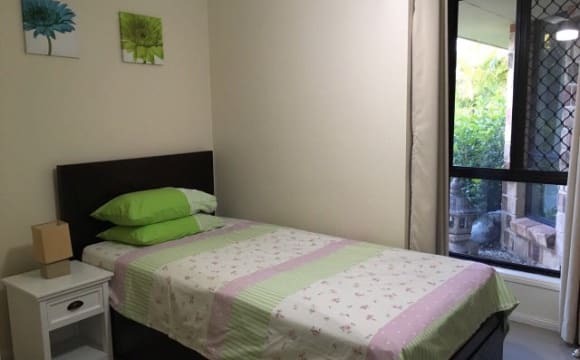 We have plenty of off-street parking available, the rooms are spacious and include a built in wardrobe, single beds, ceiling fans and study desk and chair. We also have air-conditioning for those hot summer days! There is unlimited internet included in the rent and bills are included as well. There is a bathroom which will be shared only between 2 people who are looking to join our home. 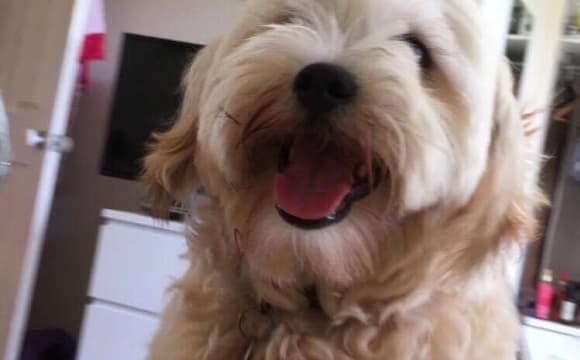 My wife and I currently have 2 other international students living with us at the moment, and we have a friendly Golden Retriever as well. We are unable to keep another pet on the property at this time. We are looking for like minded individuals who share the same values and will keep our home clean and tidy. We look forward to hearing from you! Hi all! I have bought a place in Ashmore and am looking for someone and their fur baby to join me. It's a two bedroom, one bath and it's just me and my dog, Jupiter. She is an am staffy x bullmastiff. I'd love another dog to keep her occupied during the day while I'm working. Fully fenced yard as my dog is an escape artist. I work full-time and always aim to lead an active and social lifestyle when I'm not too caught up with work. Shoot me a message if you're interested and I'll send through some photos. Thanks Jess and Jupe. Air conditioning,large yard,parking inside. Living with 2 females. Good banter, air conditioning, tram 700m from us. 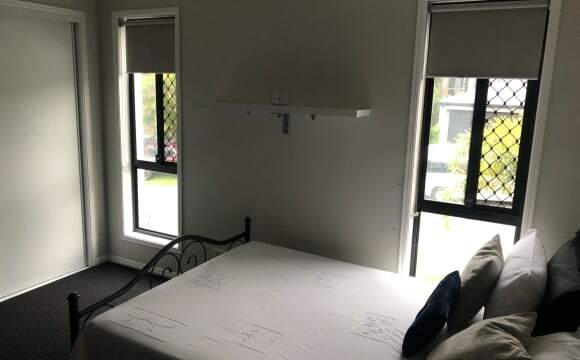 * $ 150 week: Female Only * OWN ROOM AVAILABLE NOW NEAR GRIFFITH UNIVERSITY. Your Own Ensuite Bathroom. Single Bed Base &amp; Mattress. 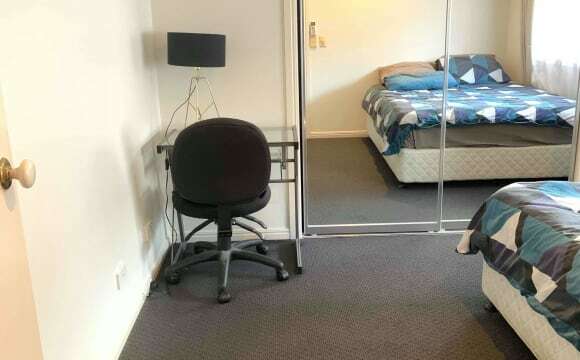 Air Con, Built In Wardrobe, Desk. Share Kitchen and Laundry. Off Street Parking, Bus at Door. $ 150 a week includes Electricity, Water &amp; Unlimited Wi Fi Internet. SORRY, NO OVERNIGHT MALES. You will enjoy the position and quiet area of our house. All rooms have airconditioning and furnished. Included in rent is a cleaner once a month to do a geneeal clean of the property except bedrooms. 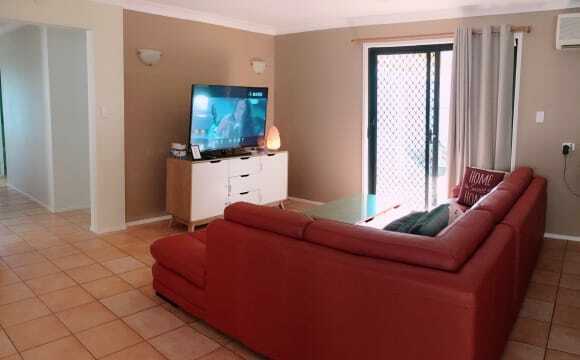 This is a very large property with 2 living areas. Nice clean big backyard to zen out or study. Also a bigger than normal pool at your disposal. Well appointed with stunning views and outdoor living space. The property is secure, clean and hygienic. . All bedrooms have their own bathrooms. 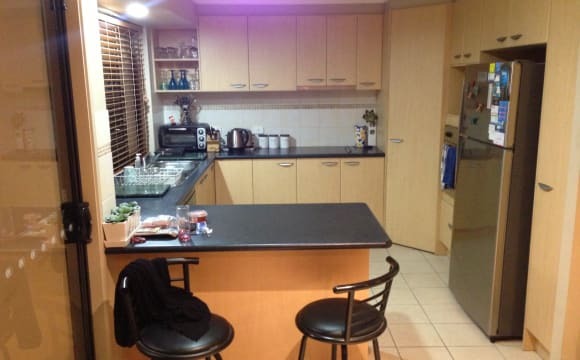 Large social kitchen and living areas with all required appliances. 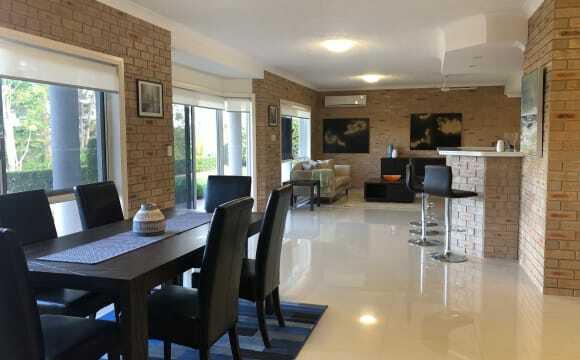 On property parking available and public transport bus outside and tram 10 mins walk. Easy access to M1 motorway 5 mins from house. The house also features a fully furnished 2 bed/bathroom, living area, kitchen Apartment with separate terrace area. All rooms have fans and air conditioning, Internet and Netflix channels. The location is ideal being close to transportation facilities yet being tranquil with no traffic. Lovely 3 bedroom house, fully furnished, in a quiet and beautiful area. The room available is furnished (can be unfurnished if preferred) with a desk, bed, bedside table and has a large built-in wardrobe. shared main bathroom with one other. 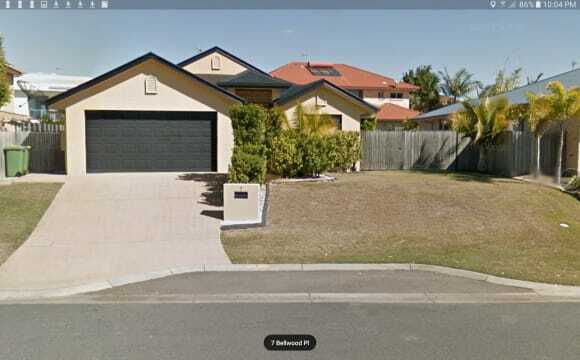 Close to Griffith University and easy access to public transport and the M1 (literally 30sec off Motorway). Non-smokers only and no children/pets please. Wi-fi is included in rent. 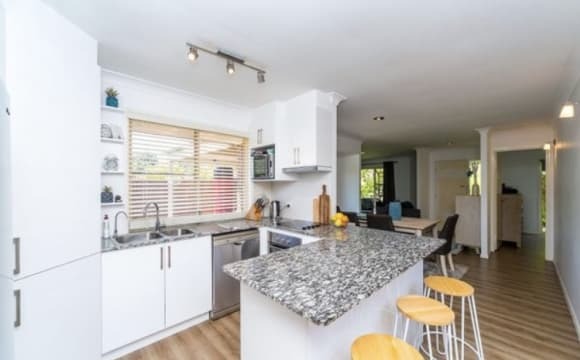 This 6 bedroom total home is a convenient 5mins walk to Griffith Uni Southport, local shops, transport and close to the beach. Rent includes bills - water, electricity and internet. 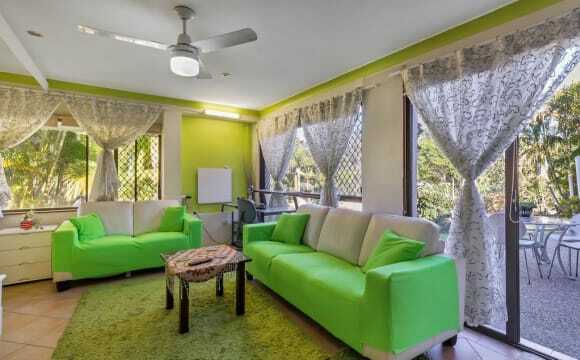 This home environment is suitable for responsible, friendly adults who value a space conducive to study. Each room contains a queen bed and desk, or can be left unfinished. The 2 x rooms for $200 contain a ceiling fan. The room for $250 is air conditioned. The room for $300 has a private entrance with deck, en-suite, walk in robe and tiled floors. Each room contains: -Built in wardrobes. -Fully carpeted in good and freshly cleaned condition (except for studio room which is tiled) -Decent sized rooms. -Shared large open planned kitchen with large dining area and lounge room area separated - all air-conditioned during summer. -Wifi unlimited. -Swimming pool surrounded by beautiful tropical palm trees. -Secured, fully fenced home -Street parking in quiet cul-de-sac. 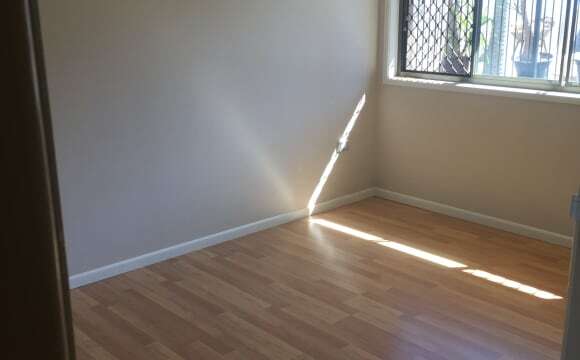 -Bathroom shared (except for studio which has en-suite) This is a private rental. Only responsible, reliable and mature applicants may apply. 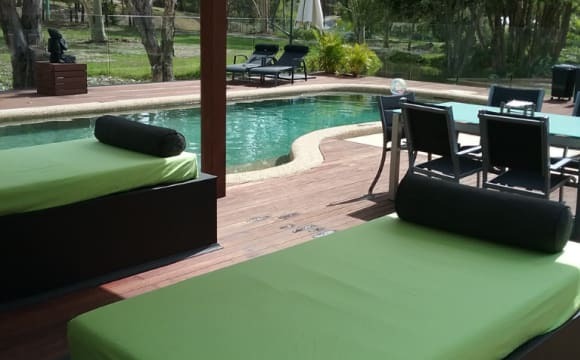 This is the perfect space to relax, study and enjoy, but this is not a party house sorry! Clean, tidy, peaceful. New paint and carpet. 3rd bedroom study/office to share. Big backyard, lots of lovely house plants. I have a cat (independent and timid so not annoying one bit) &amp; 2 chickens for fresh eggs daily! 3min walk to bus stop, then 15 min bus to Griffith uni &amp; 15min bus to surfers. Clean, tidy, peaceful. New paint and carpet. 3rd bedroom study/office to share. Big backyard, lots of lovely house plants. I have a cat (independent and timid so not annoying one bit) &amp; 2 chickens for fresh eggs daily! 2min to bus stop, then 15 min bus to Griffith uni &amp; 15 min bus to surfers. PICTURES OF HOUSE ARE COMING. Move in from 30th April This is a 4 bedroom, 3 bathroom house. Your room will be an ensuite bedroom which is semi detached from the house so it's pretty private for you. You just need to walk across tge back pstio to get into tge kitchen. Our house has a great backyard and undercover patio for summer BBQs. Our house is a 10 minute walk to the tram stop (super convenient!) and a 5 minute drive to the local coles. Bills are included in your weekly rent. (internet, water and electricity) within reason. Just turn lights off when youre not using them and dont go cray cray on the AC. 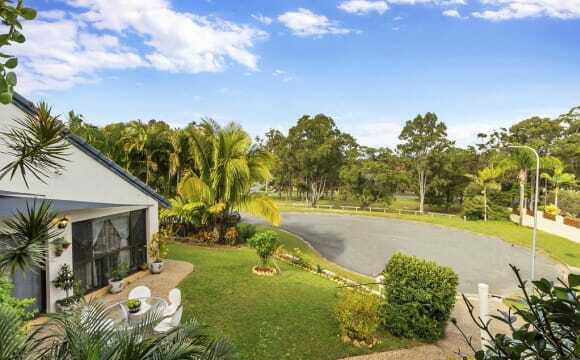 Quiet location, lovely small estate that backs onto Nerang River. Bush surroundings and river walk. Just 2 mins to M1, 5 mins drive or easy walk to cinema, shops, Goodlife gym, restaurants and train. Griffith uni is 10 mins drive, Nerang railway station 5 mins and 20 min drive to Southport, Surfers or Broadbeach. Helenvale shopping centre 10 mins. Easily access North or South on M1. Very central to all Gold Coast areas. The pool is amazing, it’s so close to campus, there are so many uni students living here and you make friends instantly!